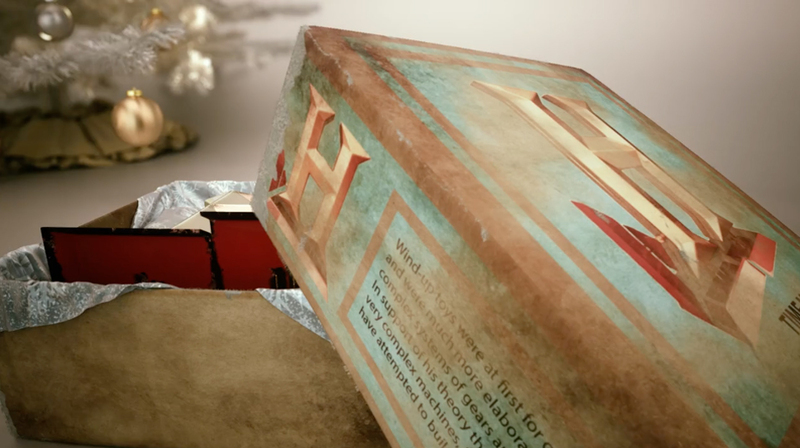 The History Channel asked us to come up with an idea for their 2013 Christmas ident. The ident needed to encompass what the channel was all about and include traits of their popular 'manly' shows. With this in mind we focussed on combining the channel's famous 'H' with the idea of vintage restoration.